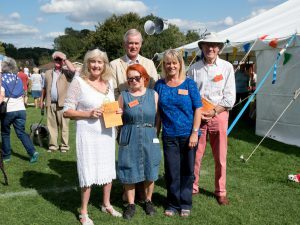 The Horticultural Society was set up primarily to encourage an interest and greater proficiency in leisure gardening and horticultural pursuits for anyone living in and around the village of Wellow. The committee organises a rang e of events throughout the year for its members which include opportunities for the whole family to be involved. Specialist speakers provide talks on a wide range of subjects. We put on films with a horticultural theme. Visits are either planned or suggested to beautiful and interesting gardens in the area. 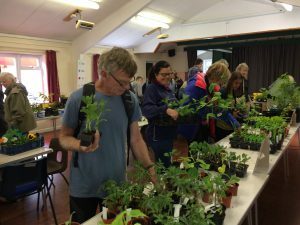 We have a plant sale every May to which you can bring your excess seedlings and plants and leave withplenty of plants to grow in your garden and there is usually an activity for your children too. The summer garden party provides a fun social evening in a beautiful setting. 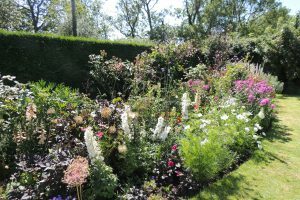 The annual Flower Show is the highlight of our programme and offers all round entertainment for the whole family. 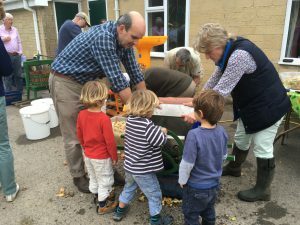 In the autumn we have an Apple Day which involves the whole family working together to turn your apples into delicious apple juice. Apple bobbing for the children. 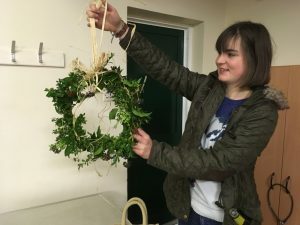 As the year comes towards the end we have a much-loved creative evening making Christmas wreaths. We are always developing our ideas for community activities to suit all ages. We welcome any ideas, suggestions or help. The website will keep you up to date on all aspects of the society including gardening tips throughout the year.